The Inn On Randolph is an adorable location to rest your head in between sipping wine in the Napa Valley and Sonoma Valley. Located on easily accessible Randolph Street in Downtown Napa, the Inn On Randolph was completely renovated in 2012 to the modern glory that it represents today. The exterior building is reminiscent of the early 19th century, while the interior is something you would find straight out of a Pottery Barn catalog. They offer darling amenities in each guest room and certain rooms are lucky to have a remote-controlled (gas), roaring fireplace. One of the nicest attributes to the Inn On Randolph is the convenient location to downtown Napa. A $5 Uber ride or have your private driver drop you off in Downtown Napa after your day of wine tasting. Downtown Napa offers some of the best restaurants in the entire Napa Valley: Zuzu, Celadon, Cole's Chop House, Morimoto, Oenotri....just to name a few. The best part of the Inn On Randolph is their Breakfast offerings, which are included with your nightly stay. Executive Chef Dianne is so talented; a very conscious and creative chef. She cooks exclusively gluten-free and that includes the delicious corn meal waffle with Brie, strawberries, peaches and fresh lavender maple syrup.... YUM! On our visit to the Inn we were treated to a delicious breakfast that started with the Crepe featured above, chock full of fresh seasonal fruit and freshly whipped chantilly cream...the huckleberry jam on the side was my favorite part. I am typically not a sweet person, but this had so much fresh fruit, it felt more "healthy" than a normal crepe! The second course was my favorite (I am a savory person and bacon person hah). We were treated to a wilted spinach salad with hard boiled egg, smoked bacon, strawberries, thinly sliced onions, fresh feta cheese and a bacon, molasses, balsamic vinaigrette - phew...Just light and just heavy enough to satisfy, yet leave room for the Waffle described above! 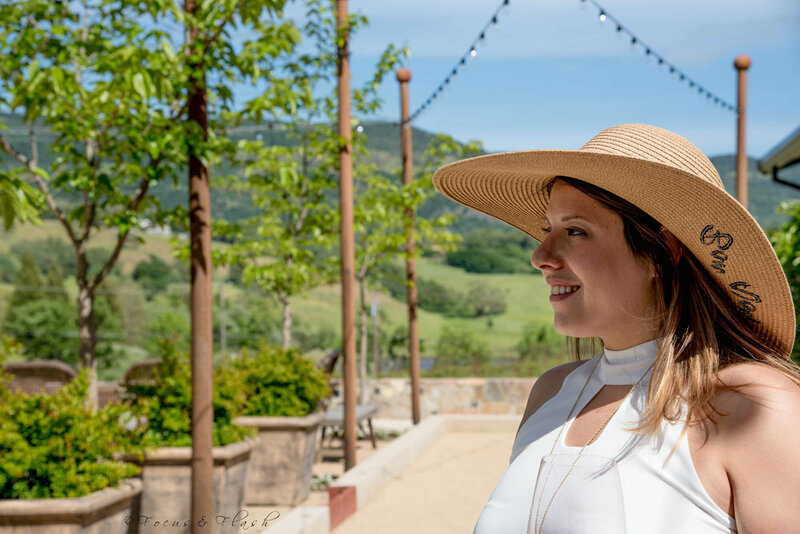 Honestly, when it comes to a nightly stay in Wine Country, your top two priorities are going to be the bed (which does not disappoint at Inn On Randolph) and the breakfast in the morning, to help you get going for your next day of wine tasting, so basically... The Inn On Randolph is the perfect place to rest your head and the nightly rate won't kill your pocket book, either! To really sum it up for you guys, this place is a hidden gem with amazing amenities, great hospitality at an opportune location...their Concierge Team and Innkeepers are happy to create customized itineraries for your stay and seriously - the Breakfast is off the charts!! !